As a website owner blogging is your bread and butter. And you want to get content on it regularly. It is tough at times trying to come up with ideas and can take some time. Because of this, you may decide you want to buy blog content from a web content writing company instead of writing it yourself. This approach has pros and cons that we will discuss in this chunk of blog content. I will cover some companies that do this kind of work, how to get it done, and who it’s for. You will get all the information you need to decide whether outsourcing your blog content to web content services is right for you. Who Needs To Buy Blog Content? 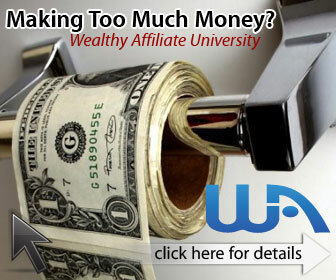 There is a lot of work involved in running an affiliate website or any other type of website. For this reason, outsourcing becomes a very tempting thing to do. You will like the thought of someone else who does the heavy lifting of article production while you chill at the pool. A lot of good writers are on these blog content writing services websites, perhaps even better than you. So you pay a few dollars to have someone else that writes your articles who is more persuasive, articulate, and has better grammar and spelling than you. Who doesn’t like the sound of that? The author Tim Ferriss of The 4-Hour Workweek goes into great detail on how to outsource your tasks. Sounds great, yes? There are still drawbacks to outsourcing your content that we will get to later, but lets first look at the process of buying blog content. There is not much t it. Most content companies are really easy to work with and don’t cost as much as you might think for what you get. You with me so far? I am about to tell you the way that I sometimes get a ghostwriter to write my article. What Is Involved With Purchasing Web Content? I am not in agreement on a few of the ideas the Four Hour Work Week book that I just mentioned promotes. The book wants you to think that you can outsource the website running chores of yours to overseas virtual assistants for $5 an hour and just go about your life. That’s not the way of the affiliate warrior. Why? These people overseas working for your $5 per hour may not be very adept at English. The chances of these virtual assistants working on many other projects to earn a livable wage are pretty high. This means that they are not working on your site the whole time. A lot of this cheap article writing is done with black hat tactics like article spinners or just copying content which can get you copyright strikes. Not what you want, right? For outsourcing, here is what I do. I do keyword research. I tell the potential writers what my niche is. That keyword(keywords) included in my job proposal. I try to give them a direction that I want the article to go in. Another cool trick that I learned to make sure that they read my instructions is to include a word or phrase in my proposal that they have to include in their resumes. The cost should be around fifteen to twenty dollars for a thousand word article. I would like to give a shout-out to my favorite writer on Upwork. Her name is Danielle and is awesome. She sometimes does help me with articles. I am writing this one though boy scouts honor. Where Are Some Places To Go To Buy Articles? As you can tell, there is a lot of companies to choose from. Some are good, some are mediocre, and others are downright awful. Make sure you do your research before actually joining any of these content writing services. When you want to buy blog content from these online companies, you want to make sure they do quality work. That’s your brand man! What do you look for to decide if a content writing company is legit? First off, I would go to Google type in the Company Name + Reviews and see what other people who have been there and done that have to say. If most people are pointing to this company as being unprofessional, unreliable, or anything else along those lines then stay away. If, however, there are mostly positive things to say, then go for it. Start small by just paying about fifteen dollars for an article if you can negotiate and there’s not a fixed price. You will either like the result or think it’s sloppy. At least you didn’t put all your eggs in one basket by paying over $100 for a subpar article doing it this way though. You’re out fifteen bucks, or you just found a great writing company to buy website content from. There are good things to say for getting ghostwritig companies and some bad things as well. I’ll cover the good first. Outsourcing your article writing can save you time and workload by letting someone else handle it while you do other more fun things. You might even land on a diamond in the rough writer who you can form a good relationship with. I did with one of the Upwork writers I have now. I regularly communicate with her and give her writing jobs. In order to be great as an affiliate marketer you need to build up a good team of people. If you have a good community of people on your side, then you will get much farther than going it alone. Your article writer is a great asset to the team you are building. Are you interested in starting your own business and killing it? Do you want a successful, driven team of individuals who want you to succeed? Article writing is just one of the skills we teach. I want to help you succeed by letting you in on my secret weapon of success. You can get a blog content service to write some of your articles, but writing your own posts is an essential skill to have. Only you can be you. Your own voice is as unique as a snowflake. No two are alike. If all your articles are being written by different people, then things will start to be inconsistent and your brand suffers. Potential customers won’t stay on. Buying your content can be very valuable, but use this tactic responsibly. That’s what the main idea is here: Be responsible when buying blog content and there should be no worries. Do you have any questions? If you have any questions or would like to comment, then send your replies below or in my Contact area. I have seriously been considering outsourcing some of my posts. I have done a lot of research on this subject. I agree you have to really screen your prospective freelancer and check reviews on their work for other people. I was surprised that you did not have Fiverr on your list. So far they are my favorite and they have a lot of great writers. I really didn’t even think of Fiverr. I do get logos and site icons from there, but never got articles. I never did that because everything I have heard about getting articles from them has been negative. You are literally the first person ever that I have ever read who says they are great. The only place that I get ghostwriters from is Upwork. Maybe there are good writers on Fiverr. I just don’t trust a place that does it so cheap. There is too much of a risk of receiving copywright articles with this cheap writing labor. You may disagree but to each his own. If you are liking their work, then just keep at it. I don’t think Fiverr is cheap. You get what you pay for and I pay well for good articles that meet all my requirements. Like I said, I have never used Fiverr for articles. I considered them at times, but research I did directed me away from them and I never actually used their writers. My experience in outsourcing articles is only with Upwork. I think I had Portent Content do one, but that was a few years back and only once. I’m kind of picky. If they did right by you, then more power to them. That’s great as long as their work is good enough to meet your standards. Thank you for the reply.